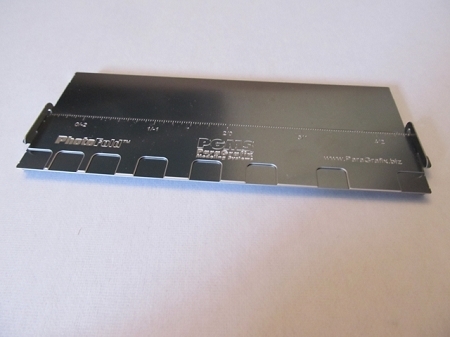 PhotoFold is the easy, affordable photoetch bending tool that is, itself, made of photoetch. 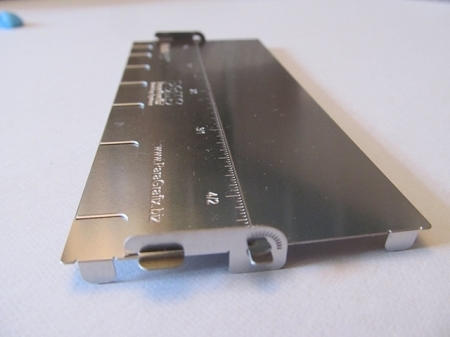 Made from 0.015" full hard stainless steel, PhotoFold makes short work of even the most finicky folding jobs. Folds photoetched brass pieces up to 5” (13 cm) wide. 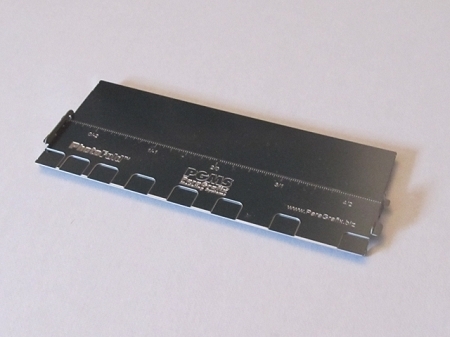 Integrated feet let PhotoFold lie flat on the work bench allowing both hands to be used to place photoetched parts and slip the two-sided die into position. 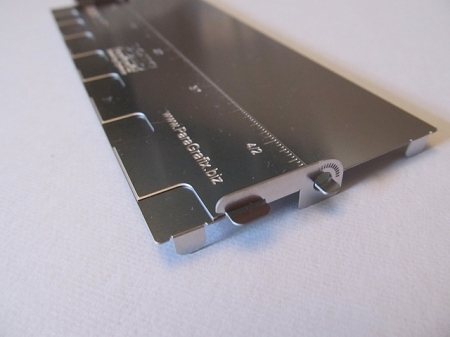 A special lip between the two main plates aids in alignment and prevents their interface from separating. A scale along the straight edge of the die marks distance one end and from the center out. Seven teeth on the die allow for a variety of small folds. 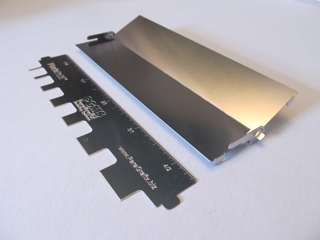 Far less expensive than molded plastic or machined metal photoetch folding tools. No screws, clamps, or pins stop photoetched pieces from sliding completely under the die - this ensures that all photoetched parts will fit.